Los Angeles! Plan your weekend around this awesome bake sale!!! 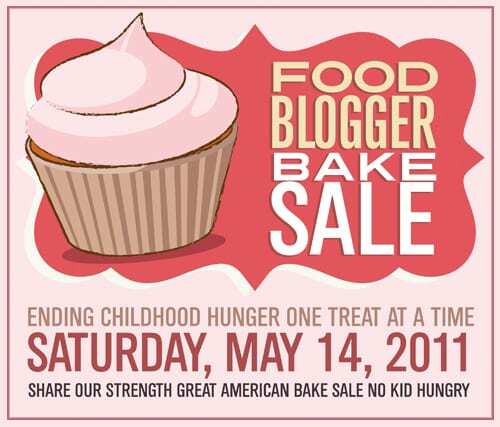 What: More than 40 Food Bloggers across Los Angeles come together to bake their favorite treats from their blogs to raise money for Share Our Strength in the 2nd Annual Food Blogger Bake Sale, to help the fight against childhood hunger in America! I'm going to bring Espresso Mini-Bundt Cakes! Why: Because we want to raise a TON of money for Share Our Strength and help END childhood hunger in America! Don’t you want to help?? Did you know that nearly one in four—children in America face hunger, that’s more than 17 million kids!! Thanks to Gaby of What's Cooking Gaby for organizing all the bake sales! Check out Gaby's blog post for a list of the bakers participating in the Los Angeles bake sale... and for other locations! Wish I could make it. Best wishes and have some fun! Will there be on line buying also from the bake sale? I will make it my best to go and get some Mary time and help fight hunger!! Lupe A.
I bought one of your espresso mini bundts at the bake sale and it was so yummy! After perusing your blog for a while now, I'm so happy I got to sample the goods. Thanks for sharing!